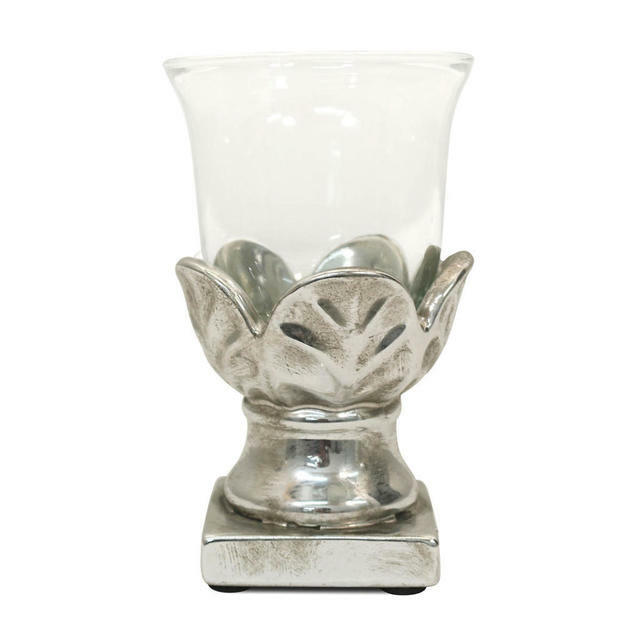 Pretty hurricane tea-iight holder perfect for the table when dining alfresco on summer evenings. 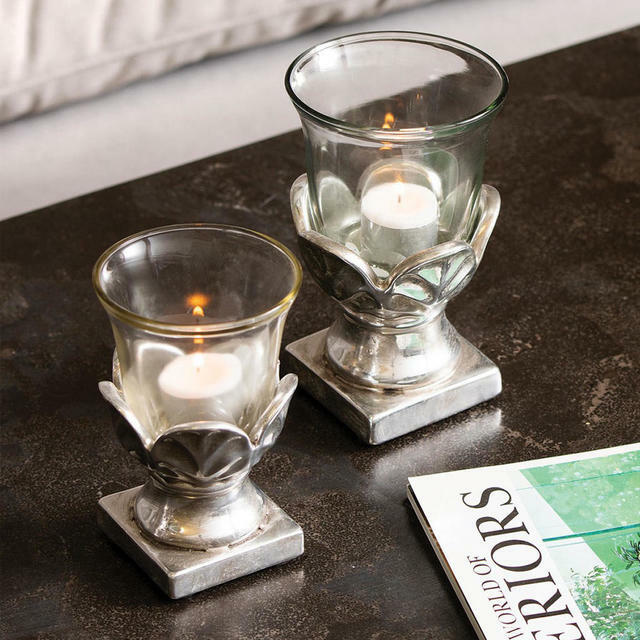 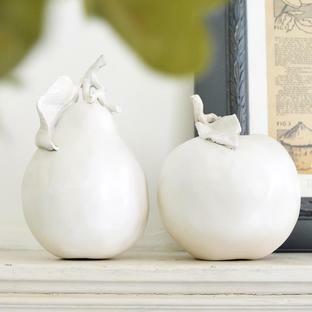 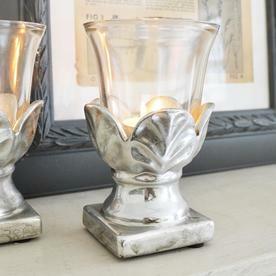 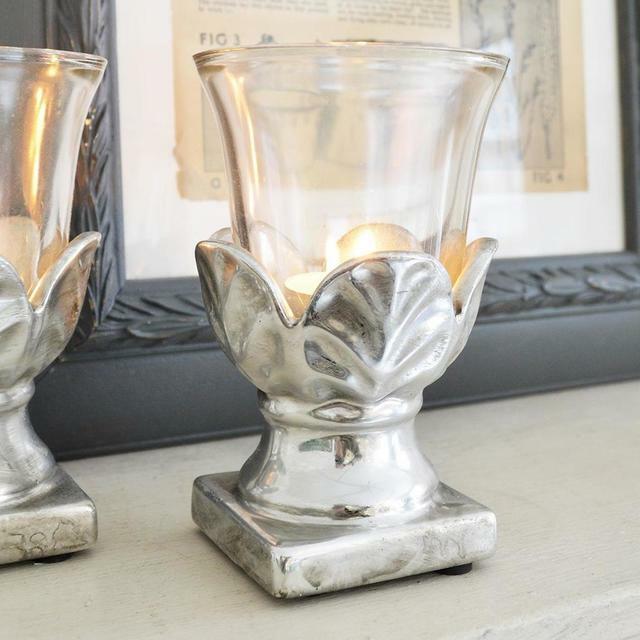 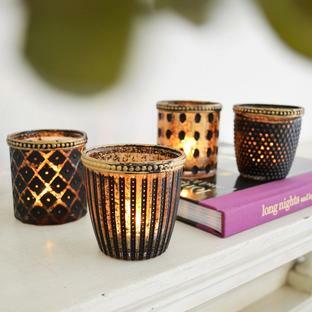 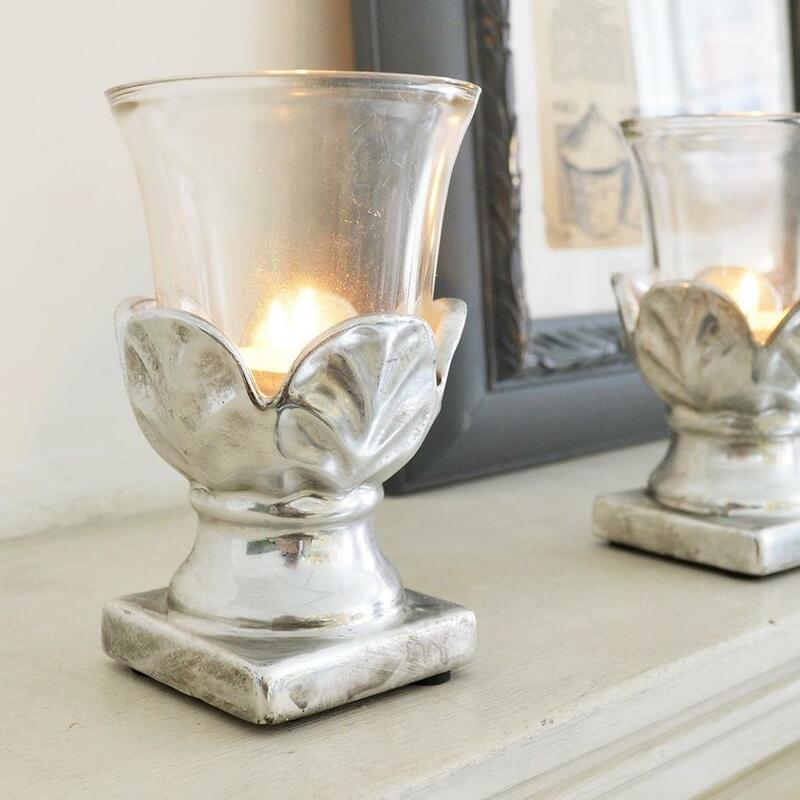 Perfect to cast some lovely candlelight on the table on summer evenings, or to give a warming glow of flickering tealights to occasional tables or summer houses. 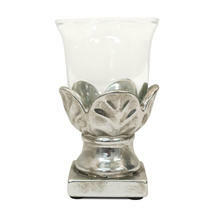 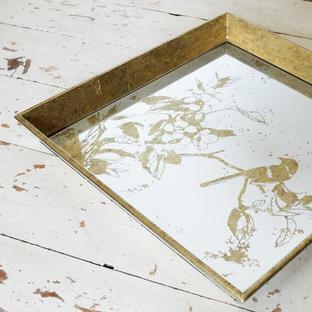 Made with glass top and silver coloured leaf designed base.